What are the IDEA eligibility categories? Diagnosing certain mental or neurological disabilities in very young children is often difficult, and thus Arizona may choose to designate children as experiencing "developmental delays." Under the Individuals with Disabilities Education Act (IDEA), states may recognize children ages 3 years through 9 years who need special education and related services as a result of developmental delays in physical development; cognitive, communication, social, or emotional development; or adaptive development, as children with disabilities. 34 CFR 300.8 (b). In order to be eligible for an IEP, a child must fit the definition of one of those disabilities expressly listed above. However, the list of specific impairments included within the definition of each of the categories of disabilities is not meant to be exhaustive. Thus, for example, children with dyslexia fit within the category of Specific Learning Disability (SLD) and children with anxiety disorder may fit within the category of Other Health Impaired (OHI) or sometimes Emotional Disability (ED). What are the EDUCATIONAL PLACEMENTS available for the LRE (Least Restrictive Environment)? Is a collaborative teaching model; the Resource Specialist or other therapists provides assistance to students who require help accessing the curriculum in the general education classroom. Students are pulled out of the general education classroom by the Resource Specialist to receive academic instruction in a small group. An elementary or secondary school within the state, other than a public school, offering education for grades kindergarten through 12, or any combination of thereof, wherein any child may legally fulfill compulsory school attendance requirements. Placement in Non-Public Schools occurs via an IEP when the public school is not able to fulfill its requirements to provide a free appropriate public education. Many Nonpublic schools specialize in Autism, Learning Disabilities and other special needs. A program designed to address a student’s Mental Health and Educational needs during the school day only. It usually refers to a licensed or certified facility which is licensed to provide a behavioral health treatment program, outpatient care, and treatment of mental or nervous disorders under the supervision of physicians. A program designed for a student who suffers from Severe or Chronic Emotional Disabilities in a residential setting. Residential treatment centers generally are clinically focused and primarily provide behavior management and treatment for adolescents with serious issues. Home and Hospital Instruction Programs serve students who have a disability, which makes attendance in the regular day classes or alternative education program impossible or inadvisable. The district in which the home or residential health facility is located is responsible for instructing and educating pupils who must be hospitalized or remain at home due to disability issues. For information on the due process procedures under the Individuals with Disabilities Education Act ("IDEA") in Arizona, including decisions from Due Process Hearings in Arizona, visit http://www.azed.gov/special-education/dispute/due-process/. Are you prepared for your child's IEP meeting? Here's your CHECKLIST. Are you prepared for your child's IEP meeting? Obtain your child's records in advance of the meeting. The law allows you to do so without waiting 45 days (which is the time the school district or charter school can make you wait, unless you have a meeting where your child's identification, evaluation or placement are discussed. Review the records, especially your child's progress reports over the last two years. Graph the progress - making a graph help you actually see the progress. Invite all the people you want to participate, even if they can only participate via phone, such as the other parent, step-parents, outside evaluators, etc. Remember that they all become members of the IEP team! If you expect to have anyone of the people you invite attend via telephone, ask the school (the case manager or SPED director, or whoever is your contact at the school) to have a speaker phone available and a call in number, or make sure you can call out, including long distance if anyone is out of town or state, and at worst, make sure your cell phone is powered up and you know how to use the speaker on your cell phone. Make sure the meeting is scheduled at a time and at a place that is mutually agreed upon, and that there will enough time to address all issues. Make a list of the issues and concerns and questions you have. Obtain a draft of the IEP in advance of the meeting. Decide if your child is old enough and/or mature enough to attend. If you think the attendees don't know your child, then bring your child to introduce him or her to the attendees and then have arrangements for your child to leave the meeting when you deem it is no longer appropriate for him or her to remain in the meeting. Have your tape recorder ready, with enough battery power. Make sure your "IEP" book is organized. You can organize any way you like so long as you know where everything is. You can group all IEPs together, all PWNs together, all tests together, for instance, or you can put each IEP in its own section along with the meeting notice(s), drafts, final and PWN(s) for that IEP. You may want to put the PWNs on different color paper for ease of reference. Read and re-read your parental rights in advance of the meeting. Bring flash drive to meeting to obtain electronic copies - some schools will provide electronic copies at the meeting. Make a note to remind yourself to request a draft of the IEP that was prepared at the meeting - BEFORE you leave the meeting. At the meeting, remember to be cordial and respectful, just as you expect the school members of the IEP team to treat you. What is the differnce between an education advocate and an attorney? What is a non-lawyer education advocate (also sometimes called a "parent advocate" or "educational consultant")? When do you need an attorney? Generally speaking, a non-lawyer advocate can help you write an IEP, and can help you until a dispute arises. While an education advocate can help with some disputes, they cannot give legal advice, and if a parent accepts legal advice from an advocate that is not correct, it will be difficult for any attorney to fix. In practice, an advocate and attorney play different roles but both can work together as part of your team. In fact, a good advocate knows when he or she has done all they can to help a parent, and then they will refer you to an attorney. Likewise, if what you need is an initial IEP, or a better IEP, an education attorney will refer you to an advocate. While an education attorney can help you with an IEP, an advocate is probably less costly. In the end, if you end up in Due Process, you cannot recover for fees you spent on an advocate, which is why an advocate ought to know when to refer a parent to an advocate. Parents should also be cautious when advocates tell them they "have a case" or that they "don't have a case." That crosses the line of giving legal advice. An advocate should not be advising a parent about whether they have a case or not; instead, a competent advocate will refer the parent to a lawyer to evaluate the facts in light of the law, and that lawyer's own experience. A non-laywer advocate’s focus is on education. An advocate should, for example, help the parent identify the child’s unique needs, explain to a parent how progress is monitored, helps formulate "SMART" goals, help select services needs, supports needed, methodology, and identify areas of needs that have not been addressed in the IEP but that need to be addresed. To best accomplish this, effective advocates understand schools; they may have been teachers themselves. Some may have been parents of a child with special needs. An education attorney has a duty to keep current on the laws, which include federal and state statutes, rules and regulations, and ever-changing case law (court decisions, both for their own state, and their Circuit, and the Supreme Court). When looking for advocates and attorneys, ask how long they have been working in the special education arena, how they got started, what their experience is in working with children with special needs, what their educational background is (do they have undergraduate or graduate degrees in teaching,or in working with children with special needs? ), how long they have been doing what they do, have they ever worked in a school or classroom, have they been involved in mediation, resolution, due process hearings, and the outcomes. For attorneys, ask if they have gone all the way to hearing and the outcomes, and ask about their trial experience in addition to their experience handling due process. Attorneys practice the law. An attorney is a professional dispute resolver and understands how to utilize dispute procedures. They can negotiate directly with the school's attorney, which is often more efficient than attending multiple IEP meetings. Once disputes arise, there are different ways to try to resolve, including informal meetings, administrative complaints, mediation, and due process. An attorney is generally not required but a parent may want to consult with one, and the attorney can advise the parent. Some states allow a parent to help them at due process, but only an attorney may engage in the practice of law. Attorneys attend law school, must pass a bar exam, receive a law degree, and must be licensed in the state(s) in which they practice. They are regulated by the State Bar and many are rated (AV, BV or CV). Working with an attorney to resolve a dispute can make a difference. An attorney’s knowledge of the legal system and ability to evaluate the strength of your side of a dispute is very important. Attorneys narrow down and clarify complex issues (focus), write and apply facts to the law (communicate), and utilize the legal system (strategy) to achieve the best possible outcome. Attorneys can review records, identify issues, and advocate for a quick resolution of a dispute at meetings, through letter writing, or formal complaints. If a dispute goes to hearing, attorneys are trained on how to write complaints, motions, closing briefs, presenting issues, using and objecting to the introduction of inappropriate or non-relevant evidence, questioning witnesses, and making opening and closing statements. Although there are differences, there is a lot of crossover between advocates and attorneys in special education. An advocate must understand the structure of the law and how to work within it to obtain results. An education attorney can identify the issues and guide the parent and the non-lawyer advocate. When disputes arise, an attorney can advise on how best to resolve. A non-lawyer advocate cannot give legal advice, is not properly trained to represent a child at hearing, and cannot appear in, or appeal to, state or federal court on behalf of a child or the parent. Advocates and attorneys work well together because of their differences. Advocates should know when an attorney is needed, and should recognize when a disagreement is a legal dispute. Attorneys can help navigate disagreements and provide guidance to avoid problems because of their understanding of the law, the legal system and how it applies to special education. Parents should understand the difference between “educational advocacy” and “legal advocacy and representation” because both advocates and education attorneys “advocate” for you and for your child. How is a child IDENTIFIED as possibly needing special education and related services? There are two primary ways in which children are identified as possibly needing special education and related. services. personnel, such as a teacher or a principal. Each state is required by IDEA (the federal Individuals with Disabilities Education Act) to identify, locate, and evaluate all children with disabilities in the statewho need special education and related services. To comply with this requirement, states conduct what are known as Child Find activities. When a child is identified by Child Find as possibly having a disability and as needing special education, parents may be asked for permission to evaluate their child. Referral by the school: A school professional may ask that a child be evaluated. The school will notify the parent in writing to request that the parent attend a meeting to discuss the child. A team of professionals from the school district will attend and discuss what they know about the child, including the child's strengths and weaknesses and areas of concern. Referral by a parent: A parent who has any concern about his or child at school should contact the school (email is best, or if in-person or by phone, follow-up with an e-mail), and say you are concerned your child may need special education and you want an evaluation. There are no specific words; rather, just let the school know you are concerned and want your child tested. Under the federal IDEA and Arizona state regulations, the evaluation needsto be completed within 60 days after the parent gives consent for evaluation, so make sure to give consent ASAP. As a parent of a child with autism you may find yourself longing for a connection with other parents who can truly understand you. If so, Arizona Autism United Parents Association invites you to join its Support Group for Parents, a safe place where you can freely talk about your struggles and triumphs in an open-ended round table format with no agenda. The meetings are facilitated by a Licensed Professional Counselor who also has two children, one with autism. They meet the last Monday of every month from 7:00 to 9:00 PM at the AZA United main office. The next Meeting is on June 30. If you have any questions please contact Paulina@AZAunited.org. 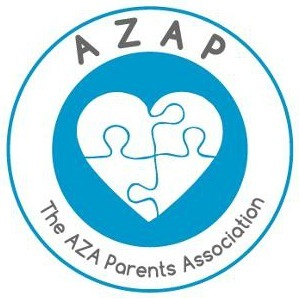 This group is hosted through the AZA Parents Association (AZAP). We hope to see you there! This handbook, the Online Handbook for Special Needs Parenting, is for parents and special education teachers who dedicate themselves to helping kids with special needs have the best possible lives. From exploring the special education system to planning the family's financial future, raising a child with special needs can be difficult, but also joyful and rewarding. These challenges may even continue into adulthood, but they don't have to be faced alone. KGK Special Ed Law Blog is pleased to be among the resources listed. What is bullying? Is there a definition? Repeated, or potential to be repeated, over time. It is rare that a one-time event or episode will constitute bullying. Parents should report to the school authorities/administration every instance of their child being bullied, and the reporting should be via e-mail. If parents merely tell someone at the school or phone it in, there is no record. U.S. Supreme Court throws out "mental retardation"
The U.S. Supreme Court is often divided, but they unanimously agreed recently on one point: the term "mental retardation" is no longer appropriate to use. This may seem trivial and way too late. Mental health professionals and most of us stopped using that term long ago as it recalls insulting playground inssults. But the decisions of the Supreme Court of the United States have broad impact, and the Court's action is a significant sign of society's progress toward treating each other with dignity. Arizona removed the "mental retardation" and "crippled" from state statutes in 2011 when Governor Jan Brewer signed House Bill 2213. (vii) Mild, moderate or severe intellectual disability. (ix) Multiple disabilities with severe sensory impairment. Read the school district and school's policies on bullying to assure the school is following its own policy which includes conducting an investigation. Arizona state law requires school districts to have anti-bullying laws. Make sure you know what your school district's (or charter school's) policy is on anti-bullying. Most important - make sure there is a record (emails are fine) of your reports of bullying, or even of suspected bullying. Know what bullying is, and what it is not. The Individuals with Disabilities Education Act (IDEA) provides options a parent can take to resolve disputes. She will provide practical, cost-effective solutions, including thinking outside-the-box. Selecting the remedy that best fits your situation and ensuring that it is effective, however, isn’t easy. Join us for this special one-hour webinar to learn powerful strategies for resolving IDEA disputes. During this informative session, special education attorney Hope M. Kirsch will reveal the common issues that lead to disputes, the most effective options available for resolving them, and the pros and cons associated with each dispute resolution process. Comprehensive article covering the history of special education and the attitudes of (some) charter schools toward, and treatment of, students with special needs, from the perspective of a the author, Amy Silverman, a mother trying to find a charter school for her own daughter. KGK's Hope Kirsch on ABC15 TV bullying story, "Arizona state law requires school districts to have anti-bullying laws." The story is about the parents who are the real fighters but Hope gets her two cents in to stress the problem. Did your child not pass AIMS? Is your child not being promoted to fourth grade as a result of not passing AIMS? Do you think that is a mistake? You should know that there are other considerations that could allow your child to be promoted even if he or she did not pass AIMS. This is the first year that third graders may be held back because they did not pass AIMS. But success on that test should not necessarily prevent them from promoting to fourth grade. Know your child's rights. Following Lori's Due Process win against Pointe Educational Services, a charter school, Pointe's attorneys appealed to the United States District Court for the District of Arizona. The District Court Judge remanded for clarification the Administrative Law Judge's Order with respect to tuition and transportation costs to be paid by Pointe. Another hearing was held on the sole issues to clarify the amount of tuition to be paid by Pointe and the manner of calculating transportation reimbursement. A hearing in this matter was held on January 9, 2014. Lori won again. The Judge found that Pointe must pay the full tuition rate, not a discounted rate, including past tuition, and transportation at the standard federal mileage rate of $.056, not a lower rate as Pointe's lawyers requested. See the Decision here. 2. Consensus & What if I don’t agree? How Safe Is The Schoolhouse? An Analysis of State Seclusion and Restraint Laws and Policies, updated January 20, 2014, contains information updated through January 2014 about state restraint and seclusion statutes, regulations, and policies. The purpose of How Safe is the Schoolhouse is to analyze and compare state restraint and seclusion laws and guidance and provide information on trends (e.g. the number of states with a particular feature and exceptions to that feature). Seclusion and restraint are highly dangerous interventions that have led to death, injury, and trauma in children. They stand in sharp contrast to positive behavioral support programs and de-escalation techniques that resolve most challenging situations. More states adopted statutes and regulations restricting use of restraint and seclusion in 2013. The report examines how the majority of states still operate under weak laws and laws with loopholes that undermine seemingly-strong protections. It also analyzes features of strong laws and proposals that would protect children and create positive learning environments. Only 19 states have laws providing meaningful protections against both restraint and seclusion for all children; 32, for children with disabilities. Only 14 states by law require that an emergency threatening physical danger exist before restraint can be used for all children; 18, for children with disabilities. Restraint must be limited to these emergencies because it is dangerous; the GAO documented the deaths of 20 children from restraint alone. Many state laws have loopholes that circumvent protections. There are 34 states that in their laws or guidance would define seclusion as a room a child cannot exit (door is locked, or blocked by furniture, equipment, child-proofing, staff, etc.). There are 11 states that protect all children from non-emergency seclusion; 17 protect children with disabilities. By law, only 1 state bans all seclusion for all children; 4, for children with disabilities. Another 10 have statutes and regulations applicable to all children that limit seclusion to emergencies threatening physical harm. 13 apply this standard to children with disabilities. Seclusion is highly dangerous. Students have died, attempted suicide, and been injured and traumatized. Students have been secluded for hours each school day and repeatedly. Only 17 states by law require that less intrusive methods either fail or be deemed ineffective before seclusion/restraint are used on all children; 23, children with disabilities. By contrast, in school districts and schools where positive behavioral support programs are used, restraint and seclusion use is minimal, if at all. Behavior improves and more students spend time learning--rather than in confinement rooms and restraint. Restraints that impede breathing and threaten life are forbidden by law in only 21 states for all children; 28 states, for children with disabilities. Mechanical restraints include chairs and other devices that children are locked into; duct tape, bungee cords, ties, and rope used to restrain children; and other devices. Only 15 states ban mechanical restraint for all children; 19 for students with disabilities. Only 15 states ban dangerous chemical restraints for all children. Children locked and tied into mechanical restraints and confined in seclusion rooms at particularly grave risk. In 20 states, schools must by law notify all parents of both restraint and seclusion; in 32, parents of students with disabilities. The vast majority of states favor notification in 1 day or less, either in their laws or recommended policies. (See Parental Notification Laws at a Glance, p.38). It is important to notify parents quickly, so they can seek medical care for injuries (hidden or obvious) and trauma. Notification also enables parents to work with schools to implement positive supports and prevent further use of restraint or seclusion. Data collection is very important. In its 2009 report, the GAO found that state data collection varied significantly. Only 12 states collect even minimal data for all students; 19 for students with disabilities. More states require data keeping at the state, local, or school level, indicating that keeping such records is not burdensome. Data gives schools benchmarks to measure themselves against and enables public oversight and sunshine. Arizona adopted a new statute providing some limited protections from seclusion, Arizona House Bill HB 2476, signed by Governor Janice K. Brewer amended A. R. 5. § 15-843. Thank you to Rep. Kelly Townsend for introducing the legislation, and Hope Kirsch for speaking before the House and Senate in support of the legislation. For people who simply want to quickly see very brief highlights their own state law or policy, there is a sister report, My State’s Seclusion & Restraint Laws (http://www.autcom.org/pdf/MyStateRestraintSeclusionLaws.pdf).